As a young girl, Eana Cubacub would buy a small tub of Potato Corner fries after shopping for groceries with her family. She would do this weekly, becoming a sort of ritual for the young kid, like many who grew up in the 90s. Now 27 years old, Cubacub is bringing her childhood favorite closer to the new generation as a franchisee of Potato Corner. 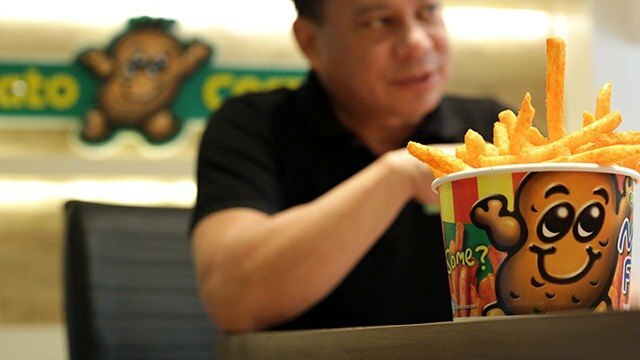 Cubacub is one of the many franchise partners of Potato Corner who helped the company increase its locations to 1,025 branches worldwide, 60 percent more than its store network of 640 in 2013. Cinco Corp. CEO Jose Magsaysay Jr., or fondly called JoMag by most people, calls the past decade a “phenomenon” for the brand. The 56-year-old executive was at Cinco Corp.’s head office—the company behind the famous food cart—all morning when he sat down for an interview in late September. The firm has been busy preparing for its 25th anniversary, an achievement that still astounds Magsaysay until today. Magsaysay was an employee for a burger chain for a decade when he was invited by some friends to invest in a small kiosk specializing in flavored French fries in 1993. 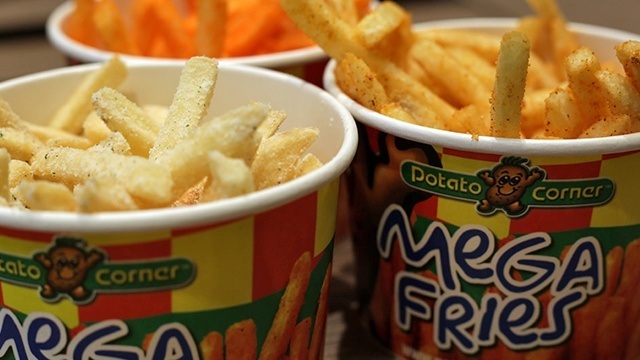 On October 16 that year, the first Potato Corner stall opened in SM Megamall. The company is preparing for hyper growth, as it aims for the stars in the next five years. By 2022, the Filipino favorite hopes to have 5,000 kiosks worldwide or around four times larger than its current store network of 1,025 stalls. To build up its legs, the company has hired at least 30 percent more employees, most of whom are millennials, at its headquarters. Magsaysay also brought in new department heads to streamline the company’s internal operations and to build a team more capable of working like a multinational. Magsaysay estimates that at least 80 percent of the company’s branches is run by its partners. While they helped the company surpass the 1,000 store network mark, the executive believes there’s still more room for growth and improvement. For starters, now that the company has reached skyrocketing numbers, the challenge is on how to maintain them. Like the role he plays on the entrepreneurial reality TV show, The Final Pitch, Magsaysay hopes to be a mentor to his franchisees too. The company recently formed two teams that will focus solely on franchisees: franchise development and franchise operation departments. The former will lead seminars, trainings and other developmental programs that will help entrepreneurs become more innovative in doing business, while the latter will focus on giving technical help in handling the food cart. The new International Operations General Manager Kathryna Manalo echoes the same vision for the company’s expansion overseas. Still, even when it hasn’t been actively seeking franchisees abroad, the company has been successful in choosing the right international partners. For example, its partners in Thailand have successfully set up 20 Potato Corner stalls on its first year of operations alone. While Indonesia now has 100 Potato Corner food carts. 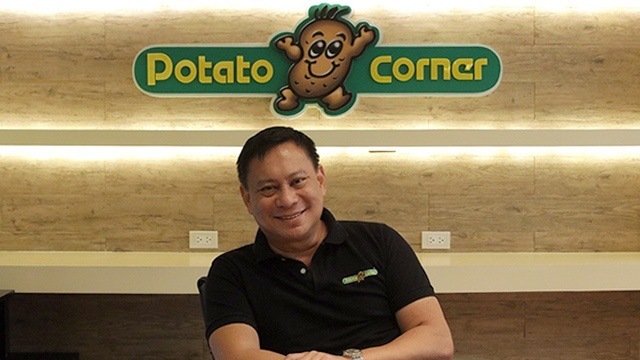 Manalo said the partners’ decision to emulate the local operations of Potato Corner—having a large team handling different roles—certainly helped the business grow abroad. Moreover, selling flavored French fries, a globally recognized and loved snack, isn’t entirely difficult. The strategy is unlike what any other Filipino food company similarly hoping to go overseas has done. Usually, Filipino fast-food or casual chains target OFWs abroad, like what Jollibee Foods Corp. and Max’s Group are doing. In recent years however, Yellow Cab, also from the Max’s Group, has been trying to gain traction in neighboring ASEAN countries. But unlike the aforementioned food brands that specialize in dine-in customers, Potato Corner is the lone Filipino food kiosk aiming to go global. “I think what made Potato Corner a success in and outside the Philippines is how simple the concept is. It’s very scalable, not as complicated as operating a full dining restaurant,” Manalo added. JoMag says Potato Corner "doesn't follow the rules. What we try to do is to create our own rules"
By 2018, the company expects to have Potato Corner stalls in Malaysia, Vietnam, Myanmar and Singapore to solidify its presence in the ASEAN before looking at the rest of the world. Anyone may operate a stall specializing on flavored French fries, but what Potato Corner has that most stalls still haven’t mastered is its agility and boldness to act like a startup even with its huge size. It’s a business practice that has been doing wonders for the company. 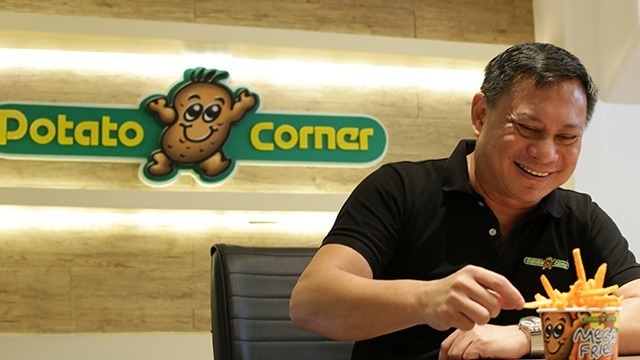 Potato Corner saw its revenues triple from Php39.8 million in 2011 to Php131.7 million in 2015. “I’ll tell you our little secret—we don’t follow rules. Because if you follow the rules like a lot of other entrepreneurs do, then you’ll just be competing against each other. What we try to do is to create our own rules that will bring us into another game, na kami lang naglalaro ng game na yon,” Magsaysay said. Keeping true to his rule-bending ways, Magsaysay introduced the Potato Corner + Nacho Bimby stall in October 2015, to tap different markets while helping startup brands gain recognition. Nacho Bimby, as the name suggests, offers nachos with various toppings that may be paired alongside Potato Corner’s flavored fries. The tandem brand has since expanded to eight other locations all over Metro Manila and is now offering franchising packages. “We didn’t know it would be such a hit, now we can marry other food concepts, like fries with soft serve or with drinks. Before the year ends, there would be a Potato Corner + Johann Coffee stall opening in Metro Manila,” Magsaysay said. While not intentionally, the company’s new strategy still keeps true to what it has always championed in the past two decades: to create new entrepreneurs. Magsaysay admits that his tenure in Potato Corner has instilled in him a desire to become more generous of his business wisdom, a way of paying forward every opportunity passed on to him.